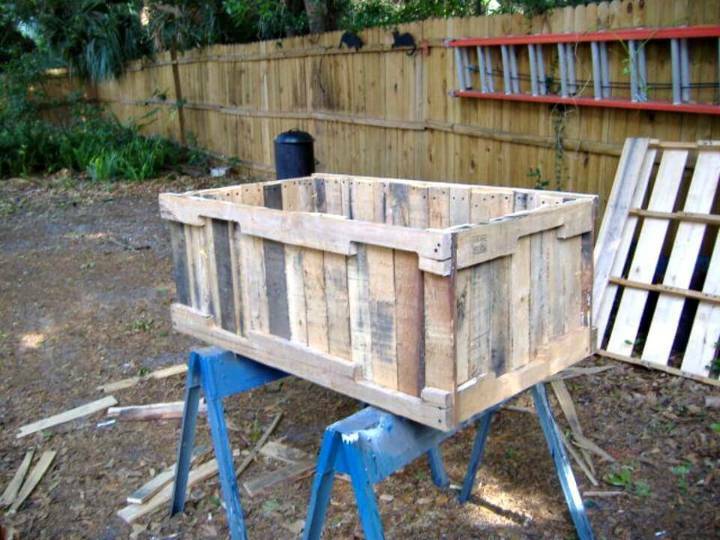 Here we are with another great episode of outdoor and garden improvement projects that are all based on recycling of pallets! 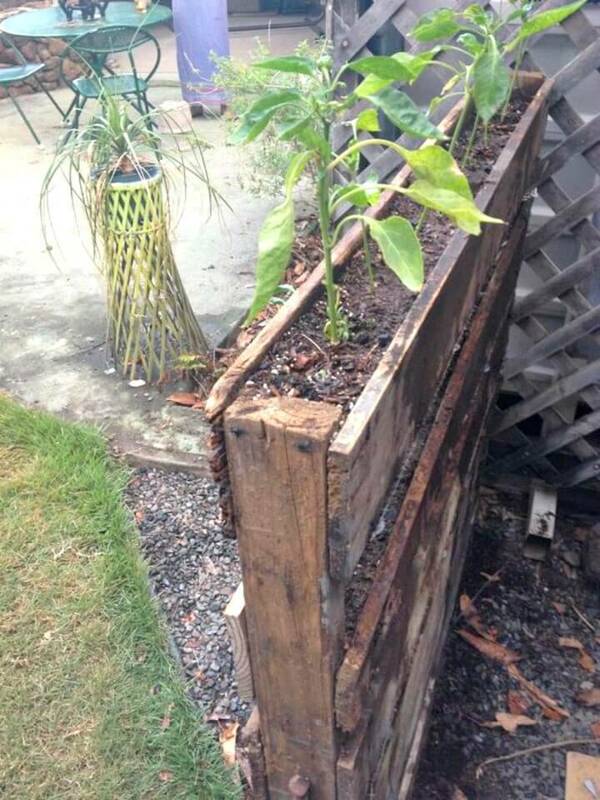 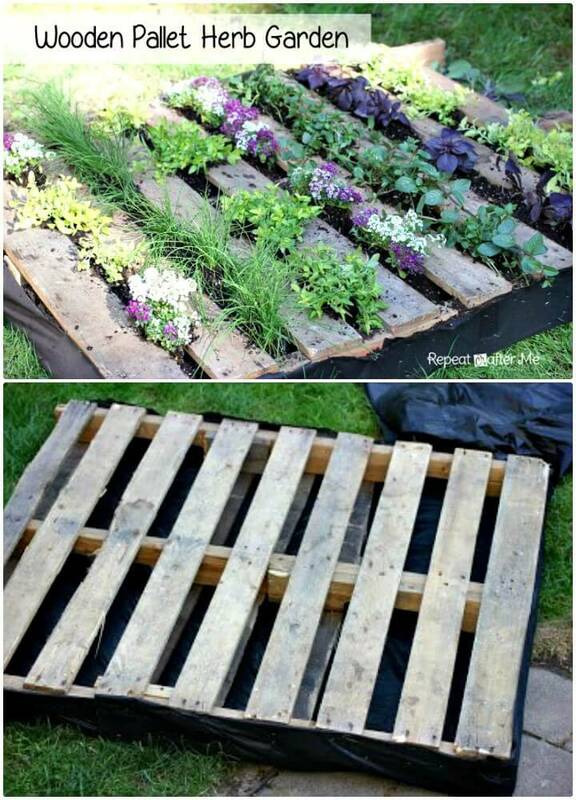 Pallets may be the unworthy skids of wood for most of us but they can rescue from tossing into dumpsters to do some amazing garden or patio projects! 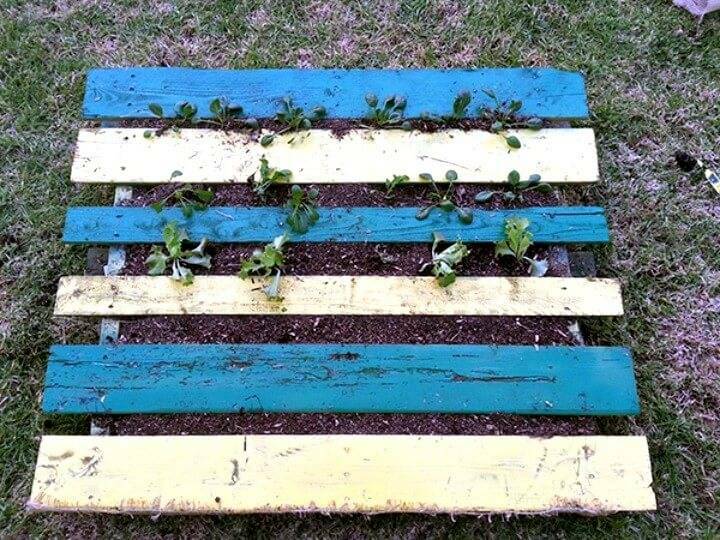 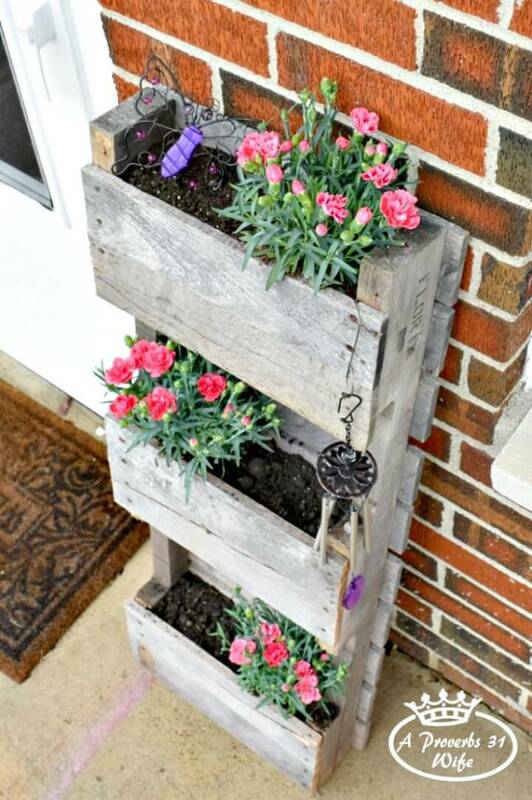 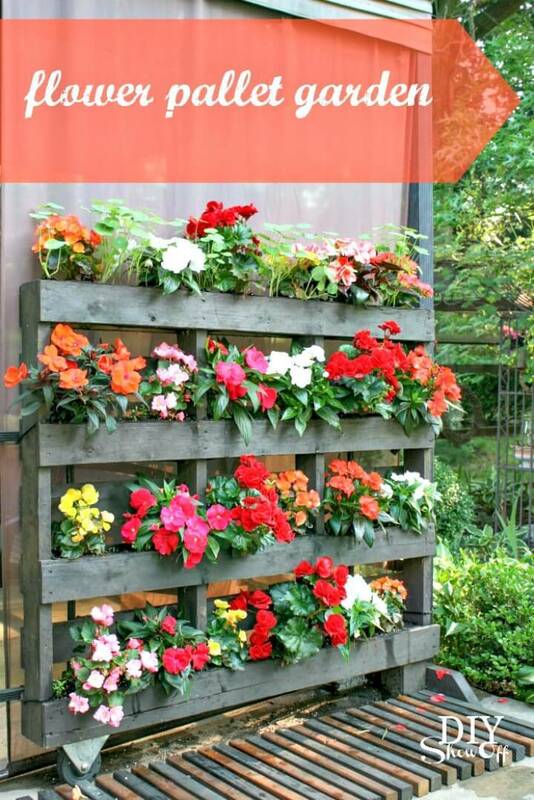 You will definitely fall in love with these 30 DIY pallet garden projects that will show you that how you fancy up your green spaces with those retired wooden pallet skids that are always easy to reach! 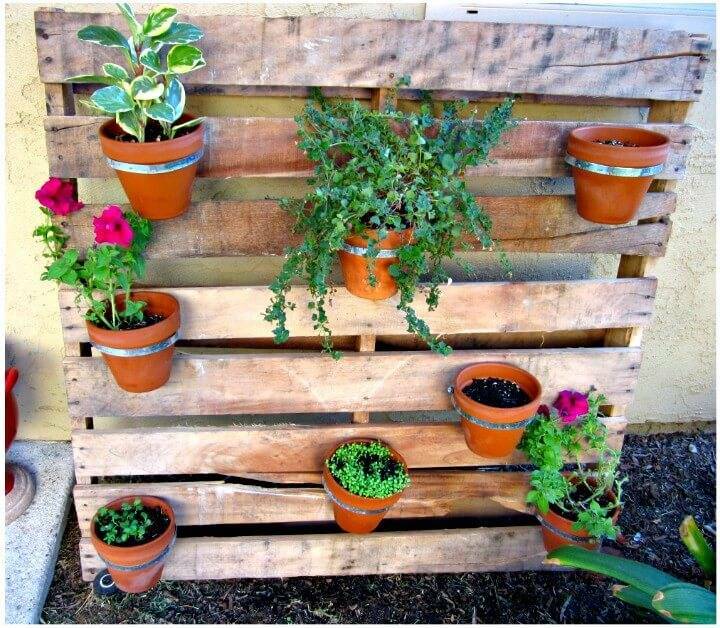 So, you can grab some to start creating a divine look of your garden are by following these given pallet garden ideas and hack! 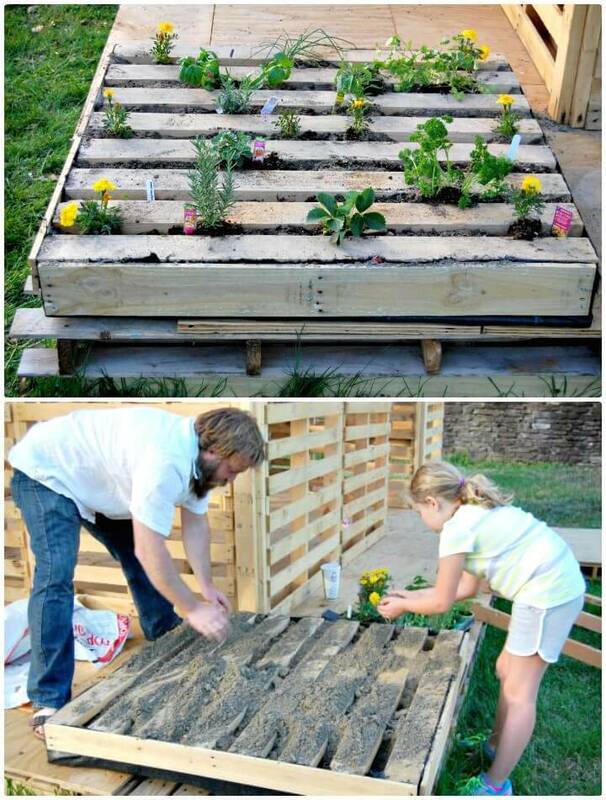 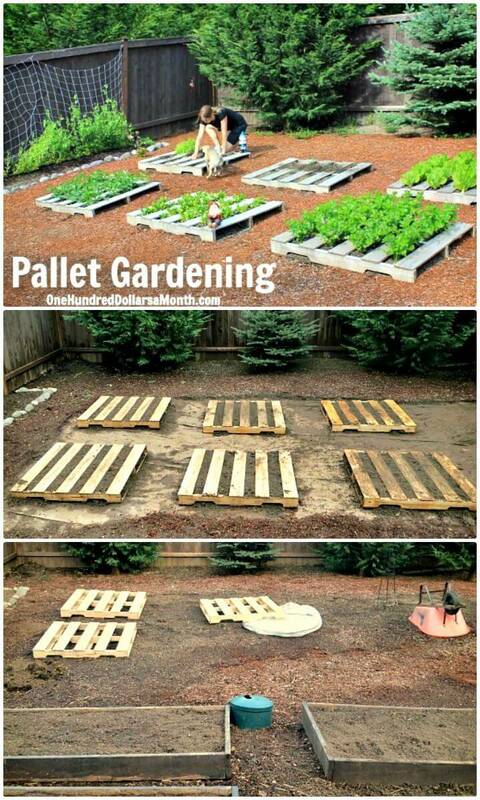 After taking a visit to these pallet garden projects you will definitely care more for the pallets! 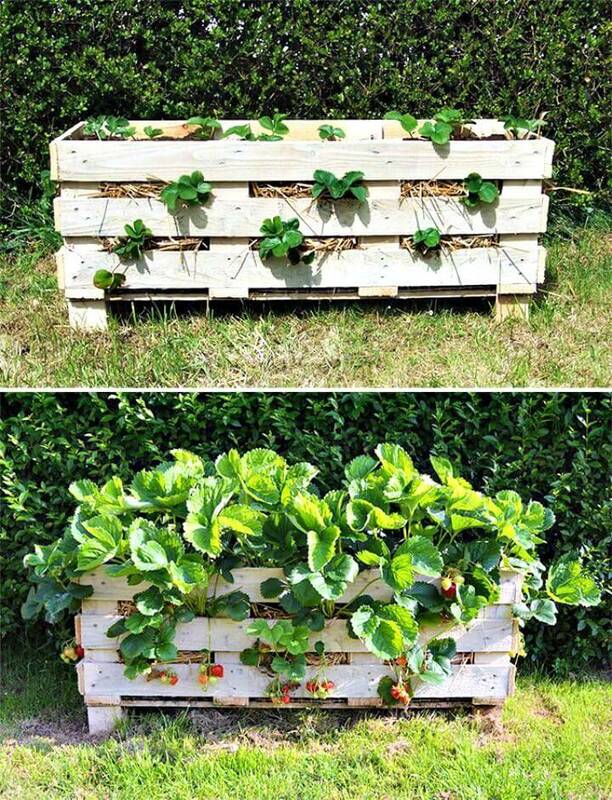 The very first thing you can do with pallets that you can cover them from behind using landscape or waterproof fabric which can also be secured in place using a staple gun! 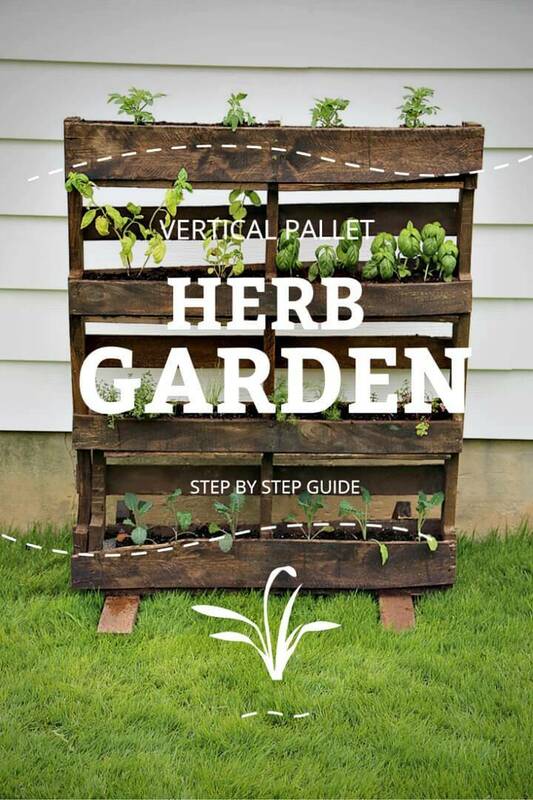 This will help that pallet skids to hold the potting soil in so that you can start potting in pallets to make amusing vertical herb, flower or veggies garden! 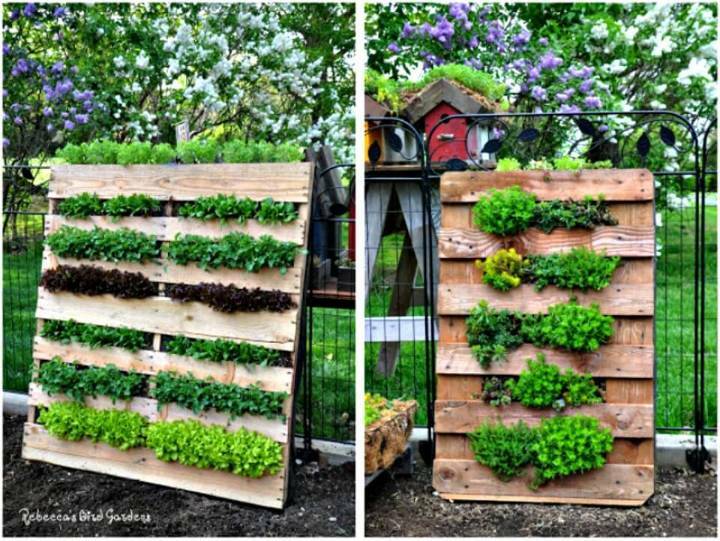 Check out some amazing samples given below in the list that are all beautiful and much focally stimulating! 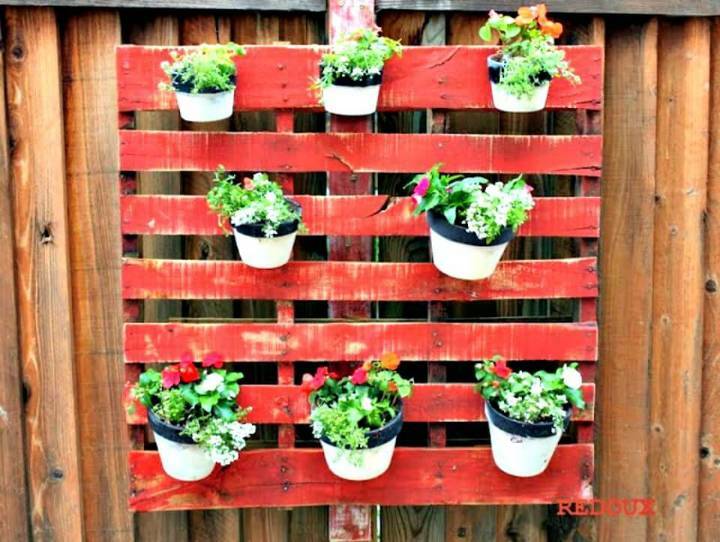 Next, you can make custom holdings or shelves in pallets where you can organize your garden pots and plants beautifully and hence you can also make good looking pot holders out of pallets! 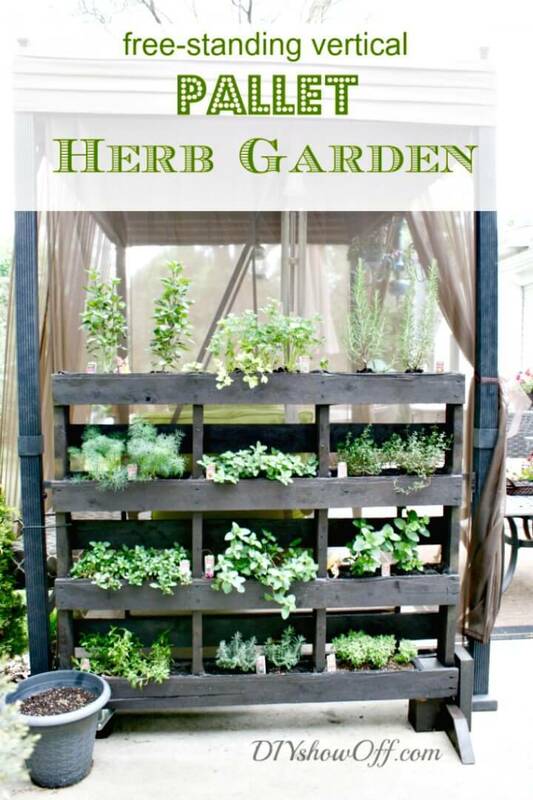 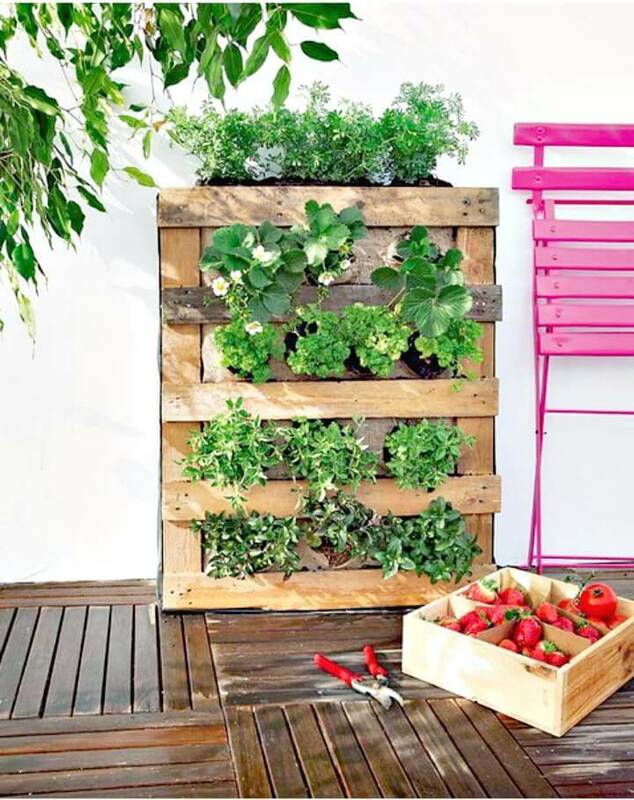 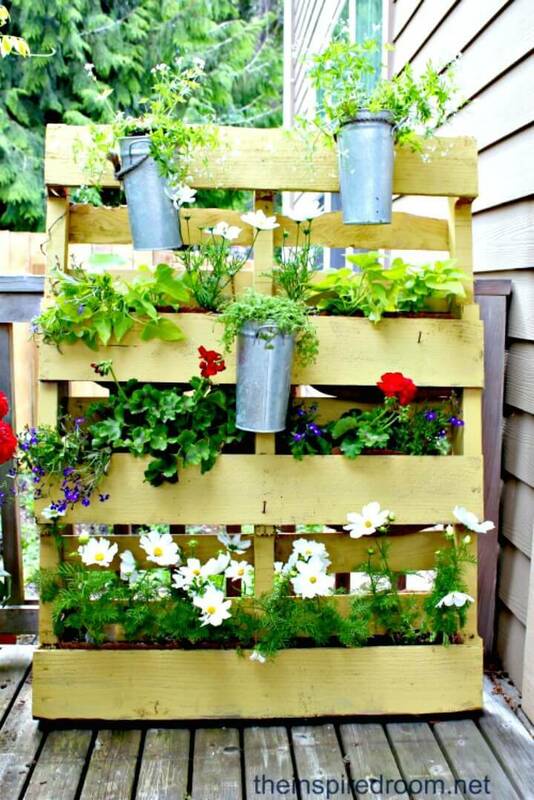 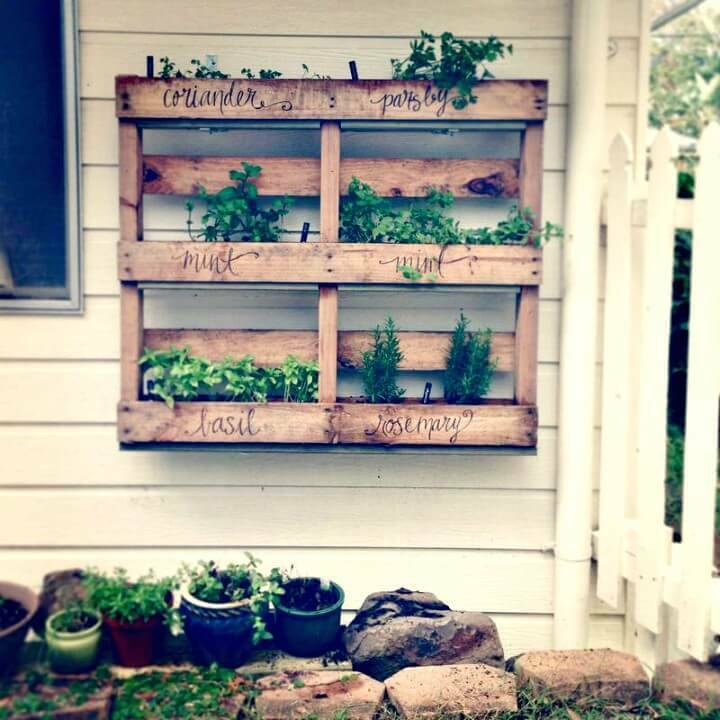 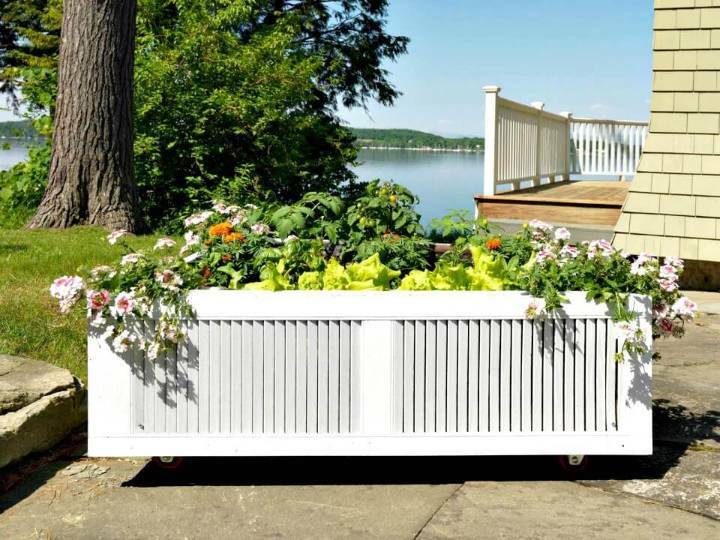 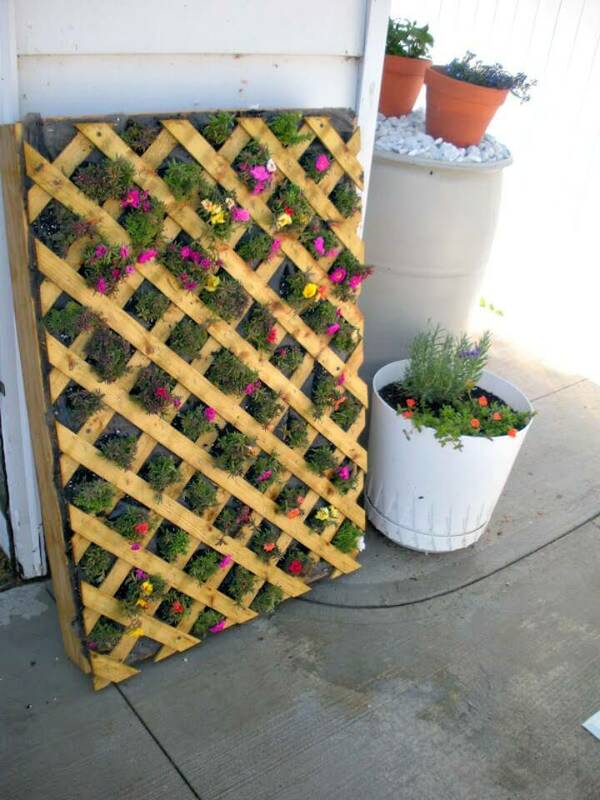 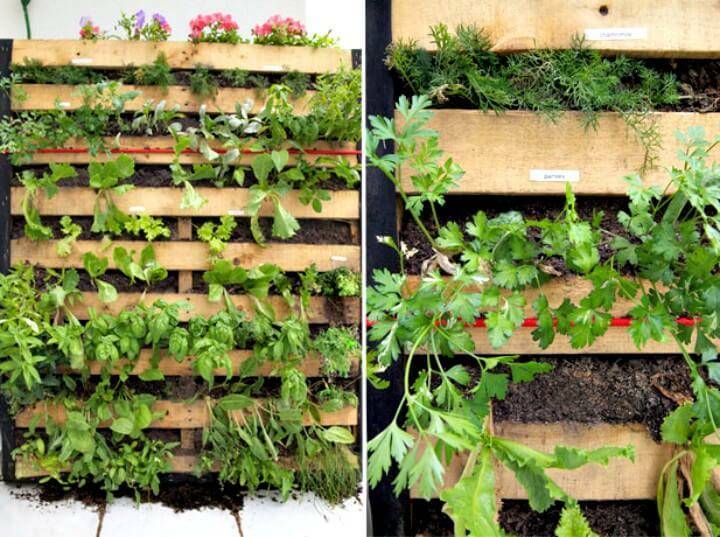 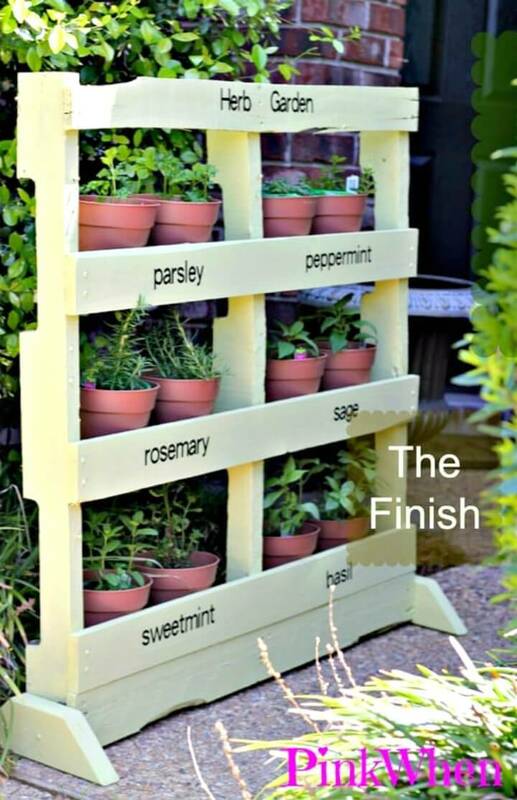 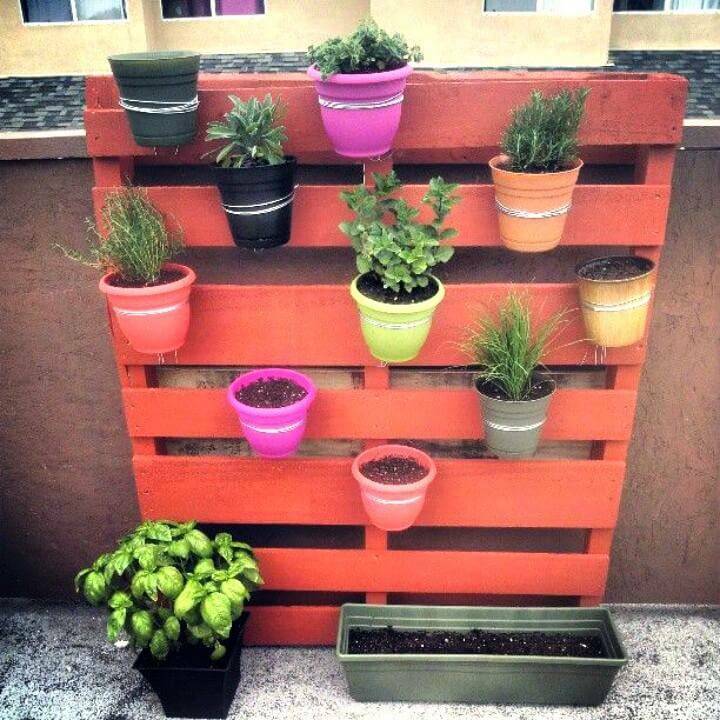 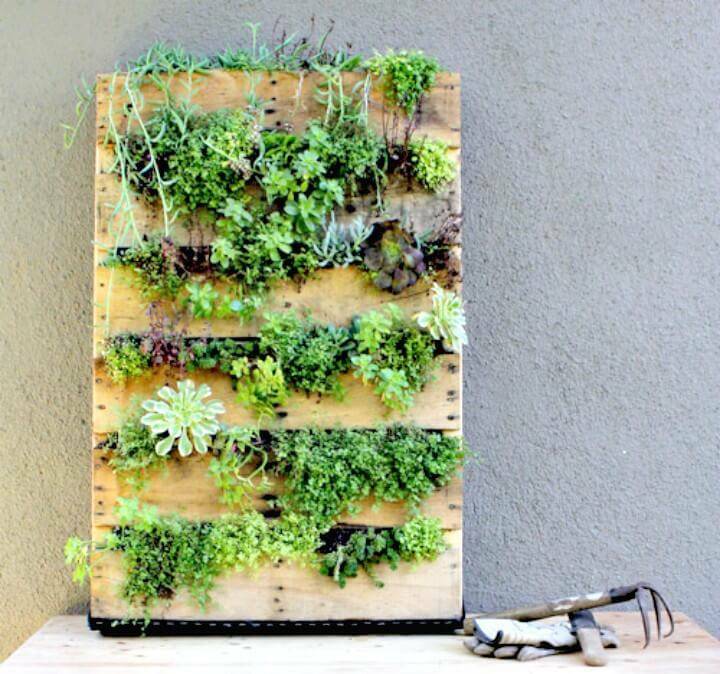 Build also amazing vertical herb or flower garden out of pallet skid, the idea is to make the single pallet skids hold some garden pots using hose clamps or other hardware, check out some outstanding samples given below in the list and get inspired! 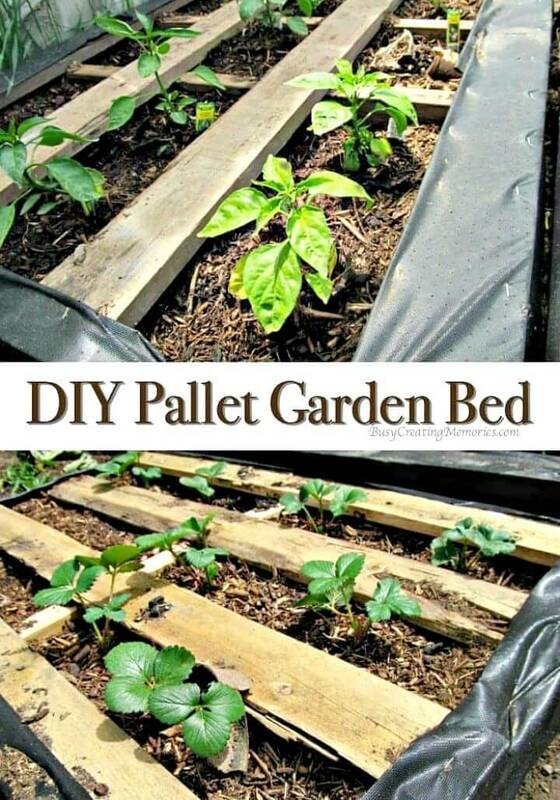 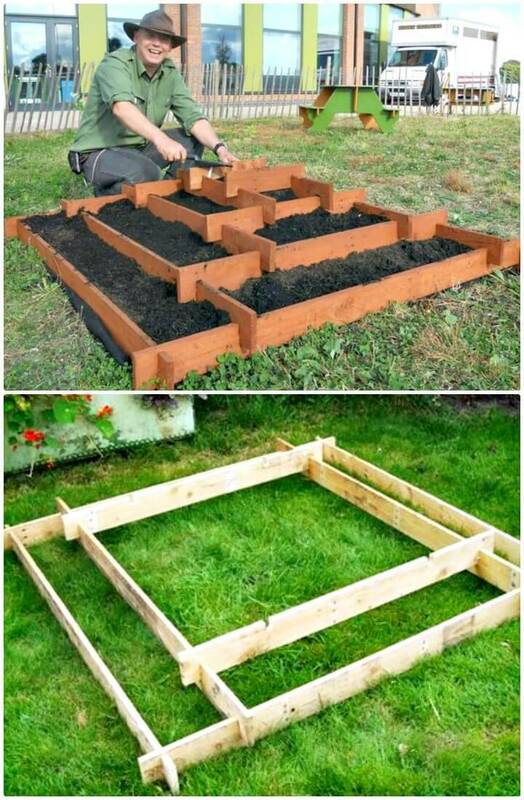 Put also the pallets flat on the garden ground and get ready-made raised garden beds that will help to grow anything special from flowers to veggies to fruits! 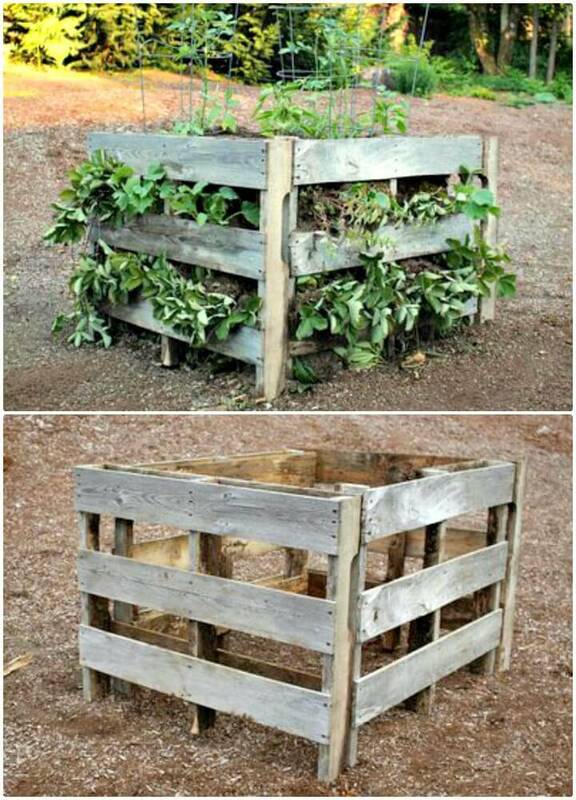 Go also super smart with pallets and install pyramid style garden planter that will be much focally stimulating and will definitely create a big focal point in your garden! 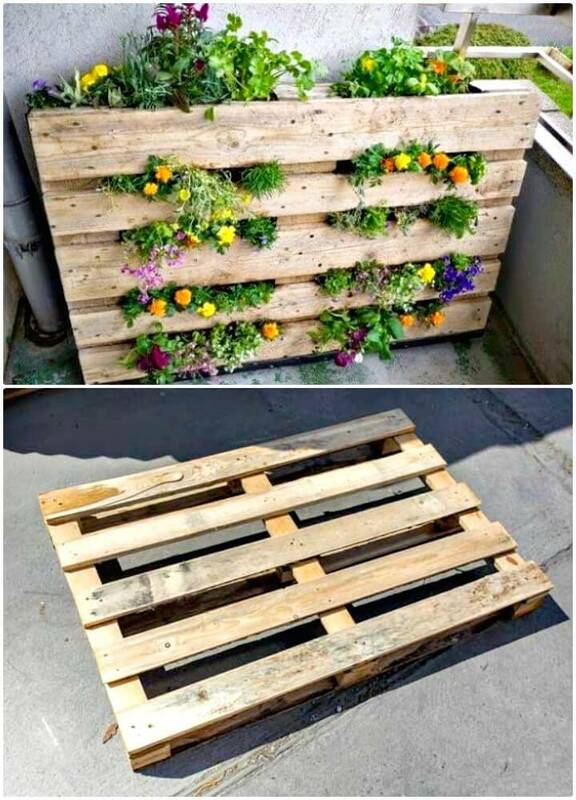 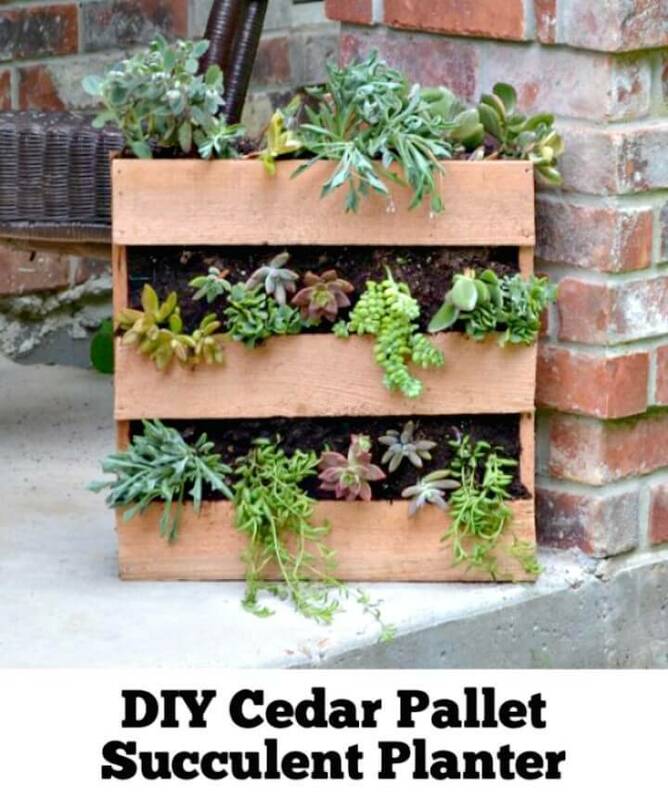 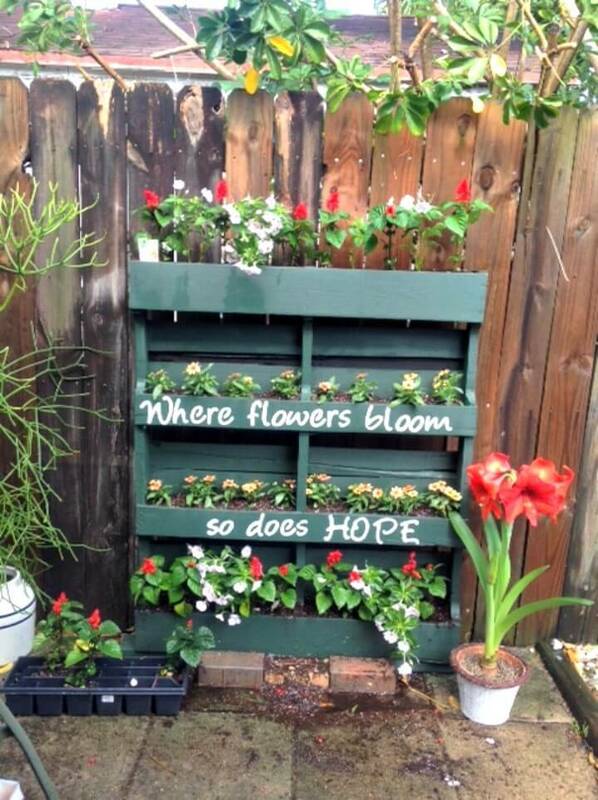 Go also handmade with pallets and make box style raised garden beds that will definitely hold one’s attention and make also the dashing vertical flower planters out of pallets that will boost your garden decors to peak level! 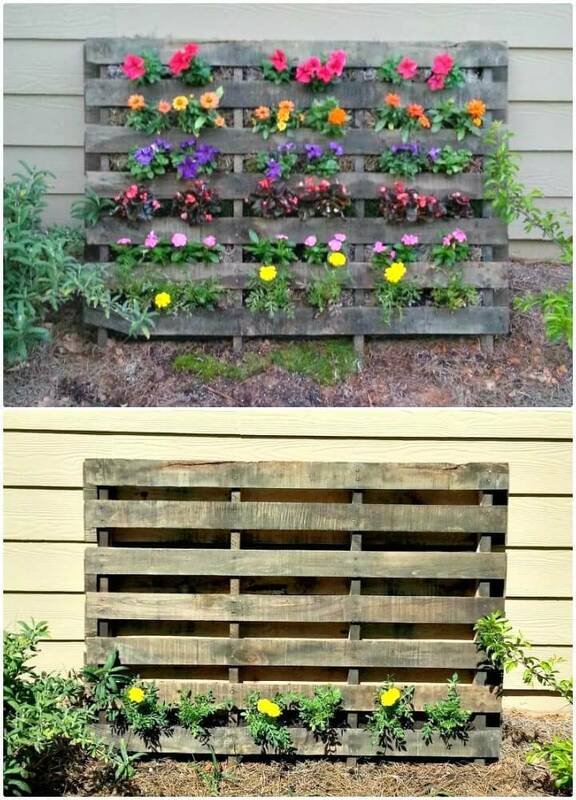 You can also hang the vertical pallet planters to garden fence, to a garden wall or just on the ground against a garden wall for bigger statements of garden decors! 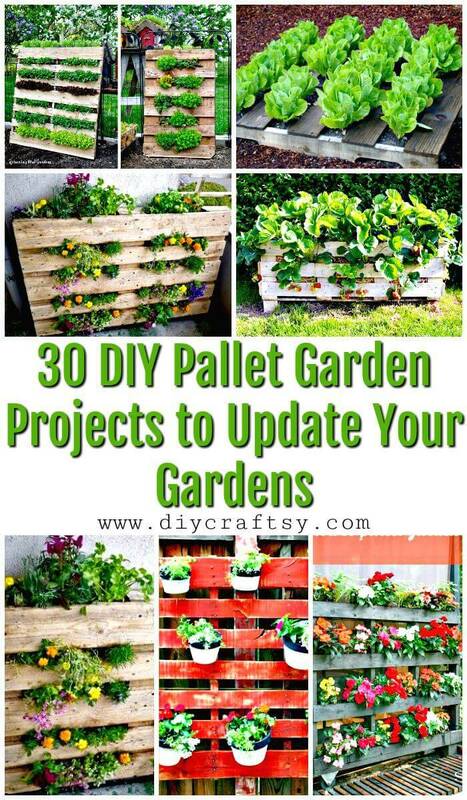 The pallet ideas for garden decors and improvement are just unlimited! 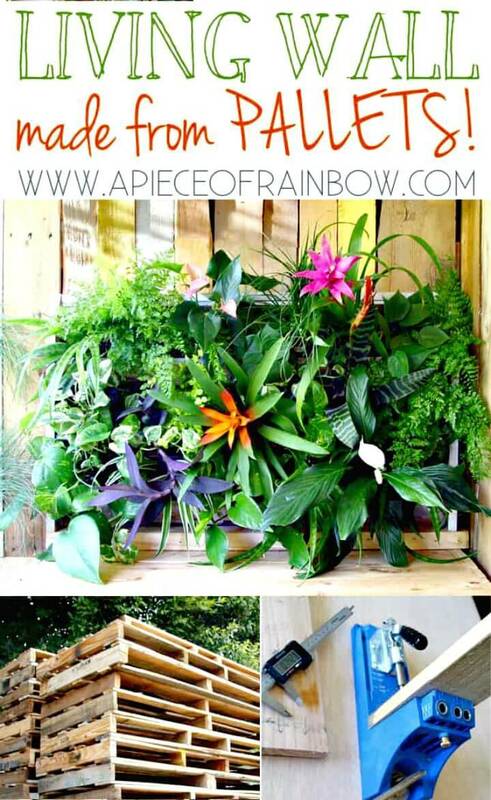 Check out more given below in the list and don’t forget to check out the respective source links for complete tutorials and guides!